An organisation which is assessed and certified by ITCC International Limited is termed “Certified Client”. ITCC International Limited require their Certified Clients to demonstrate continuous recognition of their assessed management system by regular returns of such evidence as deemed necessary by ITCC International Limited. Failure to submit satisfactory evidence may lead to additional surveillance and/or assessment visits which will be charged at the current published rate. ITCC International Limited require advice from their Certified Client of all significant changes in the scope of their activities, size of business or material change in the structure or operation of their assessed quality system or subject of assessment. If it becomes necessary to change the scope of assessment, ITCC International Limited may make an additional charge for additional surveillance and/or assessment visits, reissue of certificate, or both. ITCC International Limited, require their Certified Client to advise of changes to their legal status with regard to private ownership whether by proprietorship, partnership or co-operative, limited or public limited status. Where a Certified Client acquires a change of ownership, then, subject to the continued operation of the management system the registration may continue for the remainder of the registration period on payment in full of the registration fees for the period of certification. Such changes may require the conduct of additional surveillance and assessment activity for which appropriate fees will be incurred by the Certified Client. Certified Clients may apply the ITCC International Limited, logo and certificates only in respect of their assessed and registered, and to bring to the attention of customers, when reasonable and appropriate, any areas of business for which it has not been assessed. Unless stated to the contrary ITCC International Limited, certificates signify that in the opinion of ITCC International Limited, and its servants the Certified Client who is subject of the certificate has demonstrated an acknowledgement of the benefits and desirability of being registered with regard to the scope of activities and standards specified on the certificate. In issuing the certificate ITCC International Limited is confirming registration of the Certified Client in the ITCC International Limited list of firms. Certified Client are advised that the opinion of any other organisation or individual with regard to compliance with any standard that may be quoted in the scope of certificates may be different to that of ITCC International Limited and its servants. 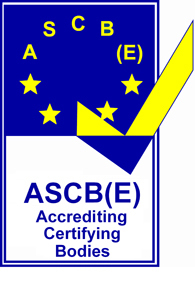 Use of the ASCB(E) accreditation logo is allowed only following payment and for the duration of the period covered by the registration fees. The accreditation logo is retained on the same terms and conditions as for the ITCC International Limited logo. Use of any other accreditation logo in respect of ITCC International Limited e.g. ‘Crown and Tick’ is not authorised as is listing in any other register such as the dti register of quality assured firms and is outside the scope of ITCC International Limited’s jurisdiction. Any notice under these Terms and Conditions or requirements of the management system of ITCC International Limited., or the contracts between ITCC International Limited., and its Certified Client shall be in writing and signed by or on behalf of the party giving it and may be served by leaving it or sending it by prepaid recorded delivery or registered post. Any notice served by post shall be deemed to have been served seventy two hours from the time of posting. In providing such a service it shall be sufficient to prove that the notice was properly addressed and was posted in accordance with this document. ITCC International Limited will withdraw the certificate and the use of its logo from any Certified Client who fails to comply with these Terms and Conditions. A Certified Client upon notification of the termination of registration shall immediately discontinue use of the ITCC International Limited and accreditation logos and all advertising matter which contains them or any reference thereto. In addition, any other documents in the possession of the Certified Client which make reference to ITCC International Limited shall, if the Board of ITCC International Limited so desire it, be so treated as to erase it. Termination of services by Certified Client shall incur fees in respect of work done by ITCC International Limited which unless specified elsewhere in contractual documents shall be calculated in full hours and based upon a fee rate of £60 per hour and 8 hours per day which may be accrued in any manner and time frame. Certified Client are advised to take expert advice when engaging consultancy, assessment and certification services. The authority vested in ITCC International Limited is that assigned to them by the Certified Client in respect of the assessment and certification services contracted and no claim as to statutory, legislative, authority, prominence or right given by any other party unless specified by ITCC International Limited or the organisation nominated as the accreditation body is claimed. These conditions and the assessment and certification activities of ITCC International Limited are subject to the laws of the United Kingdom of England and Wales. ITCC International Limited shall not be liable retrospectively for consequences, costs or damages arising from changes or introduction of such laws or Government Instruments which may subsequently invalidate or devalue ITCC International Limited’s services. ITCC International Limited requires their Certified Client to pay fees in advance or by an appropriate alternative method. The cost of pursuing late payment shall be born by Certified Client and shall be based upon, unless rates are defined elsewhere, a fee rate of £5.00 per day plus the fees of other related agencies such as courts and specialist services which may be accrued in any manner and time frame.